Highly Recommended for the exclusion of insects, birds and even fruit fly. This strong net is ideal for covering most fruit trees and Veg Gardens. 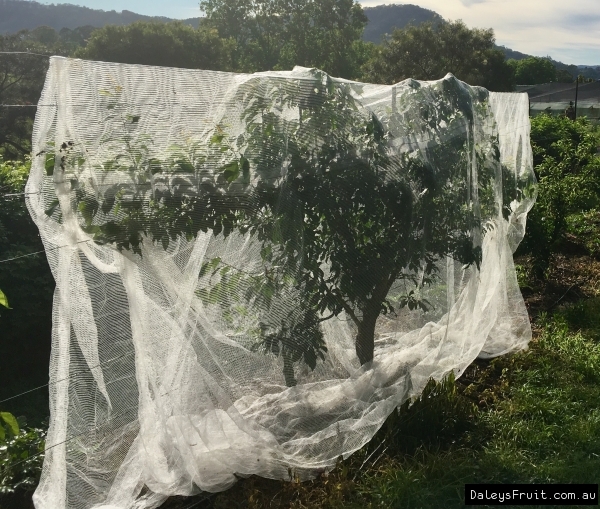 It is also called Bee netting, as it is used to exclude Bees from pollinating fruit trees that need to be kept Seedless. It will last years if stored after each seasons fruit protection. This net can easily be cut into smaller nets if desired. We can also cut to larger nets if desired. eg 24mtrs x 6mts.